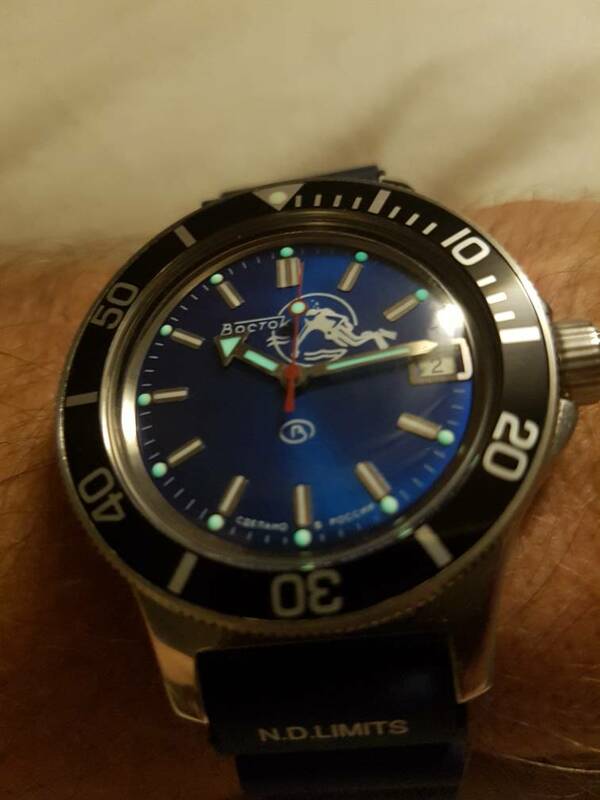 This inspired me to put a black bezel back on my blue scuba dude. Full relume, dagaz insert, Dave Murphy bezel, 120 case and a nice blue silicon strap. I really like the 120 case wish it had 20mm lugs though. Ticonderoga and croarcher like this. Torsey, idvsego, Lokifish and 11 others like this. Not my taste, but damn cool, and just wow! Love this. I think a straight (no plip) red second hand to go with the red crystal ring would be a great addition. Fantastic! GadgetKing, DocTone and rokoce like this. Nothing amazing, just a new bezel and band on this, but it makes a big difference! sideways2, DocTone, rokoce and 1 others like this. I really want to like the strap but it just doesn't do it for me. Anyway, my first "mod"; Boris bezel + Seiko insert and Dr.Seikostain strap.